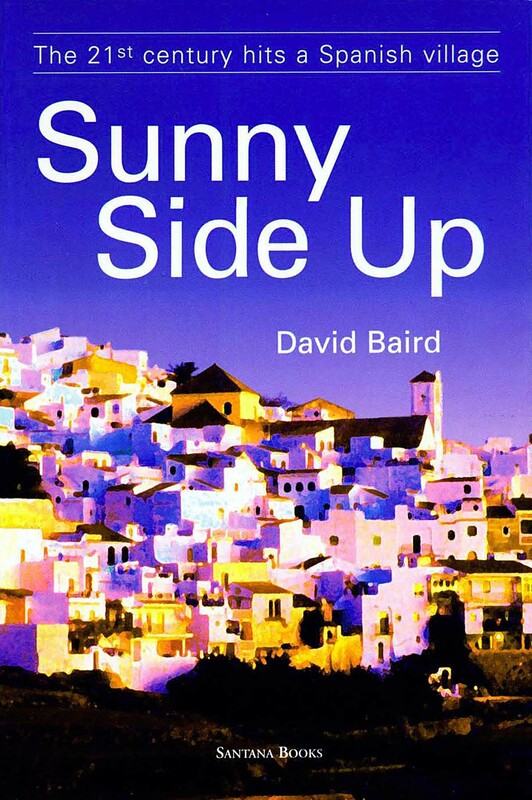 Sunny Side Up is David Baird’s ironic look at rural life, reflecting the dramatic changes in southern Spain since he went to live there more than 30 years ago. And now it’s part of a school curriculum — making it required reading in Spanish schools. “This is a bit daunting,” admitted David, a journalist and author long based in the Axarquía (the eastern corner of Málaga province), when he heard that Sunny Side Up Up — The 21st century hits a Spanish village had been selected as a set book for Fifth Grade students at the Escuela Oficial de Idiomas in Motril, Granada province. “I have to give presentations to the students and I’m used to asking questions rather than answering them. After working around the world as a journalist, David has been based for some years in Spain, reporting for international publications on everything from earthquakes to wine festivals. Sunny Side Up is published by Maroma Press (www.maromapress.wordpress.com) and is available from English-language bookshops in Spain or from Amazon. Lonely Planet, the leading guide book on Spain, has heaped praise on the Maroma Press publication Between Two Fires — Guerrilla war in the Spanish sierras. It comments: “A few communists and republicans continued their struggle after the Civil War in small guerrilla units in Andalucia’s mountains. David Baird’s book Between Two Fires fascinatingly documents the struggle between the guerrillas and the Guardia Civil around the village of Frigiliana in the 1940s and ’50s.”. The fruit of years of investigation, Between Two Fires is the only book in English that relates what happened AFTER Spain’s Civil War, when rural communities were torn apart as rebels fought to undermine the Franco dictatorship. To research what happened in those years when tight censorship sealed off Spain from the rest of the world author Baird interviewed former guerrillas, Civil Guards, villagers and their families. He checked official files all over Spain and as far apart as London and Washington to find out just what happened in a war that went virtually unreported. In the process he uncovered details about a brutal crime that was covered up for more than 50 years and about the clandestine training of Spanish guerrillas by members of the American secret service. Between Two Fires is on sale at English bookshops in Spain and from Amazon and other online outlets. 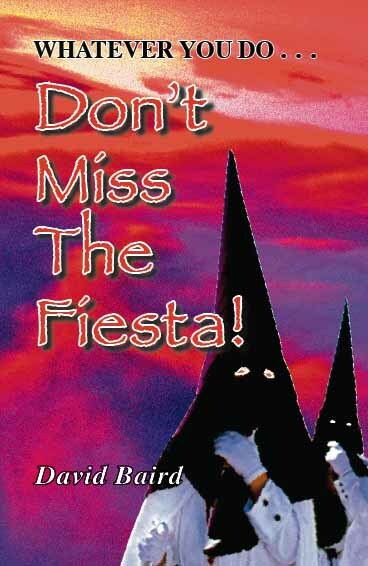 AN ESCAPIST FINDS A NIGHTMARE IN SPAIN! WE’RE ALL ESCAPISTS AT HEART, dreaming of another life in another place without the nagging worries that go with our daily routine. However, if you take the big step and launch yourself into a new life, a “simple life” in a totally different environment, it can turn out rather more complicated than you expected. In the case of one not-so-innocent Britisher, his escapist dream turn turns into a dramatic adventure with sinister surprises lying in wait. WANDER along the seafront of a certain lesser-known Spanish resort and you will find a phallic-looking structure bearing a small plaque. It honours a penniless youth whose writings helped put the town, Almuñecar in Granada province, on the tourist map. “Laurie Lee? Who he?” Spanish visitors may ask. You are currently browsing the archives for the Spanish Civil War category.